Start 2019 right and be one of the 1st people to rock this brand new design! 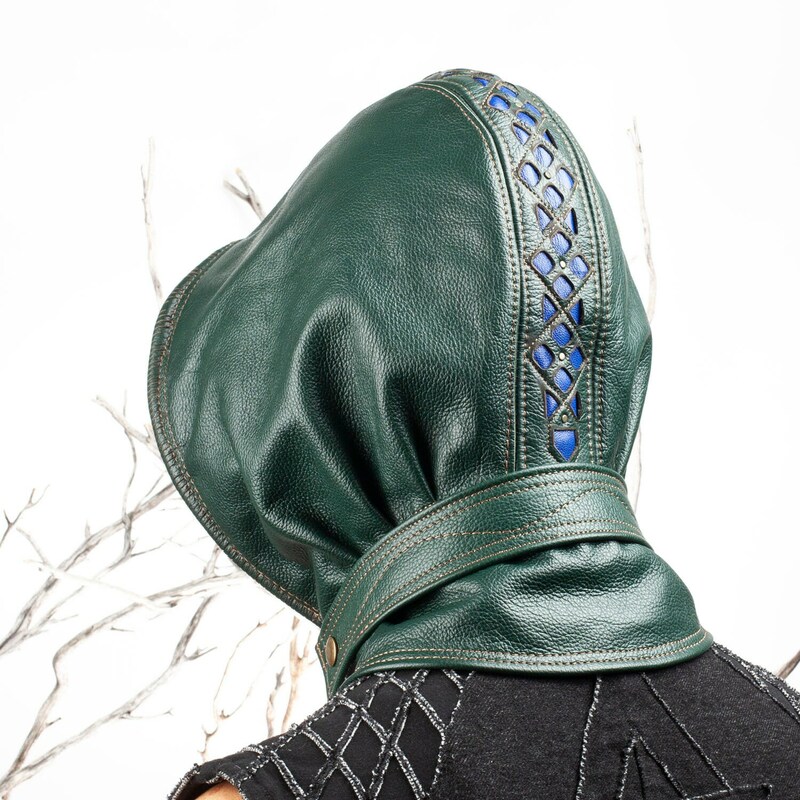 The Mystic Hood is a warm stand alone hood you can use to dress up any outfit. 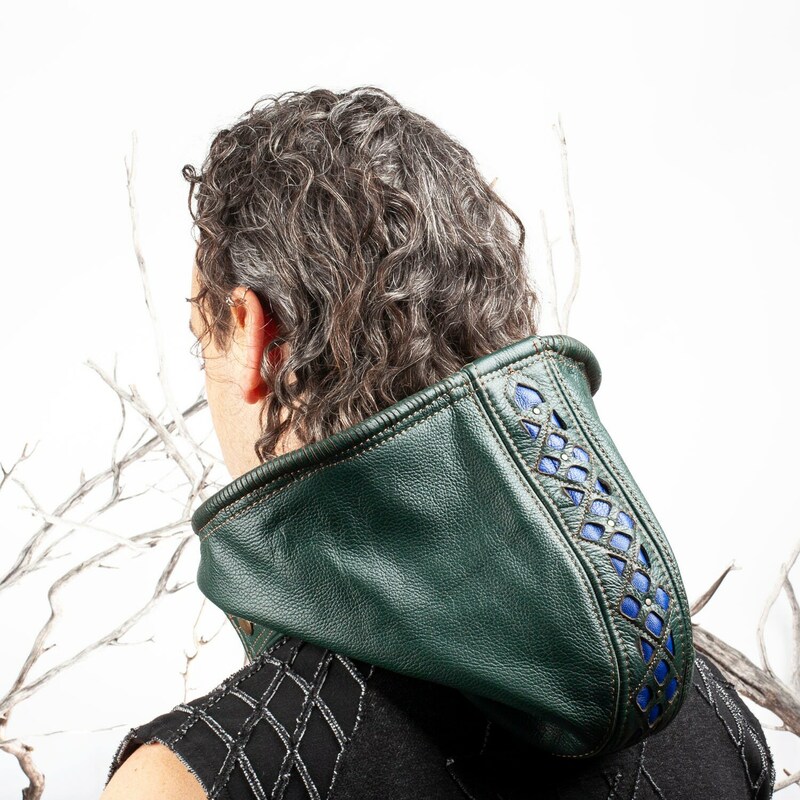 Looks great paired with your favorite vest, jacket or warm top. 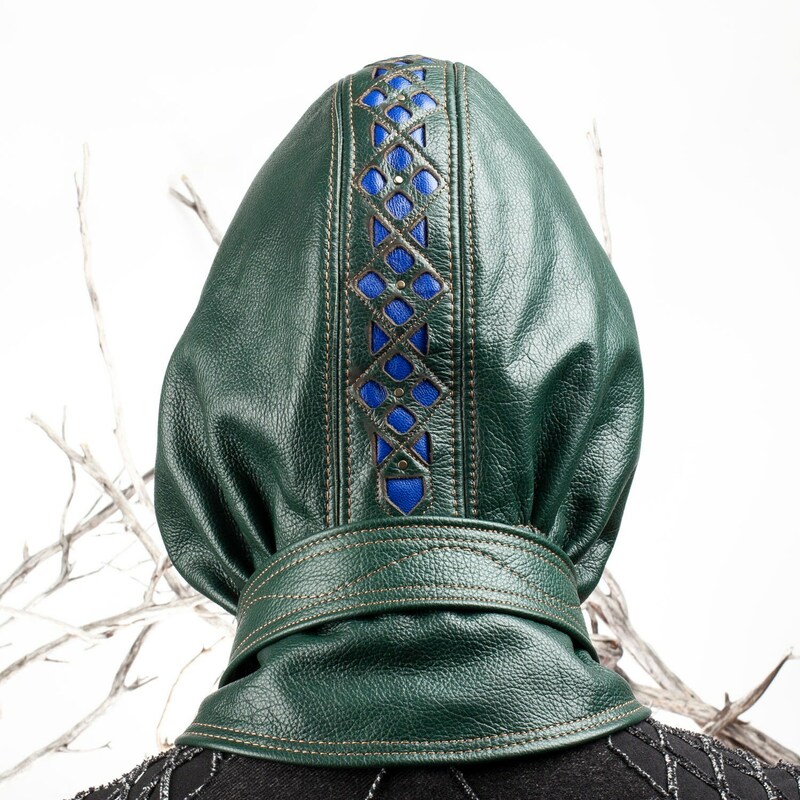 Adorned with a snap collar to hold it in place around your neck, with hood either up or down. 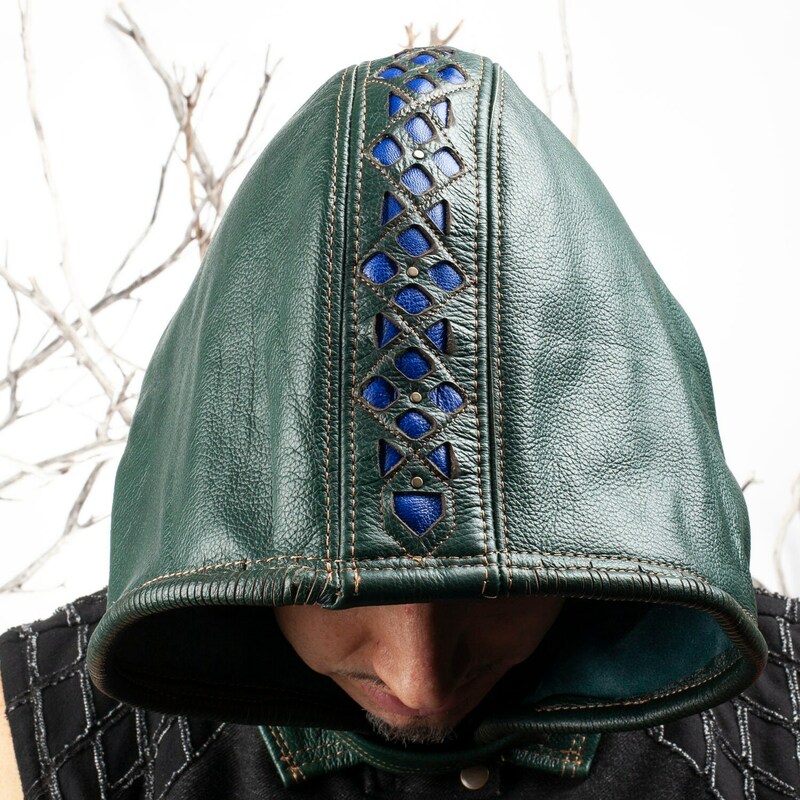 This epic hood comes with a stitched down filigree detail in the center, helping this hood hold it's structure beautifully. 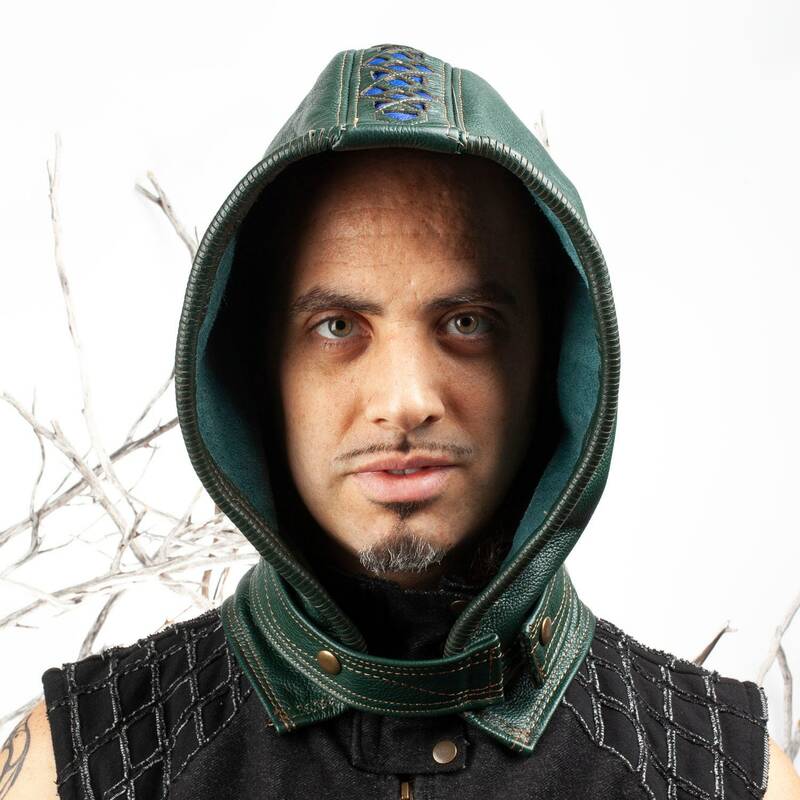 Remember that leather breaks in, and the hoods will become more supple and pliable with time and wear. 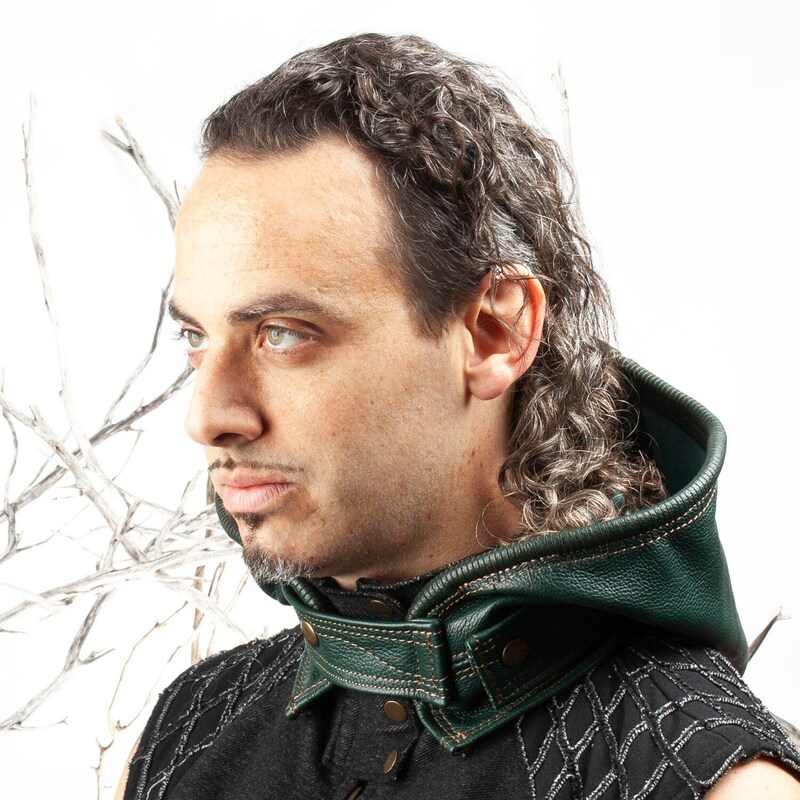 It is a breeze to snap and unsnap and is extremely packable. 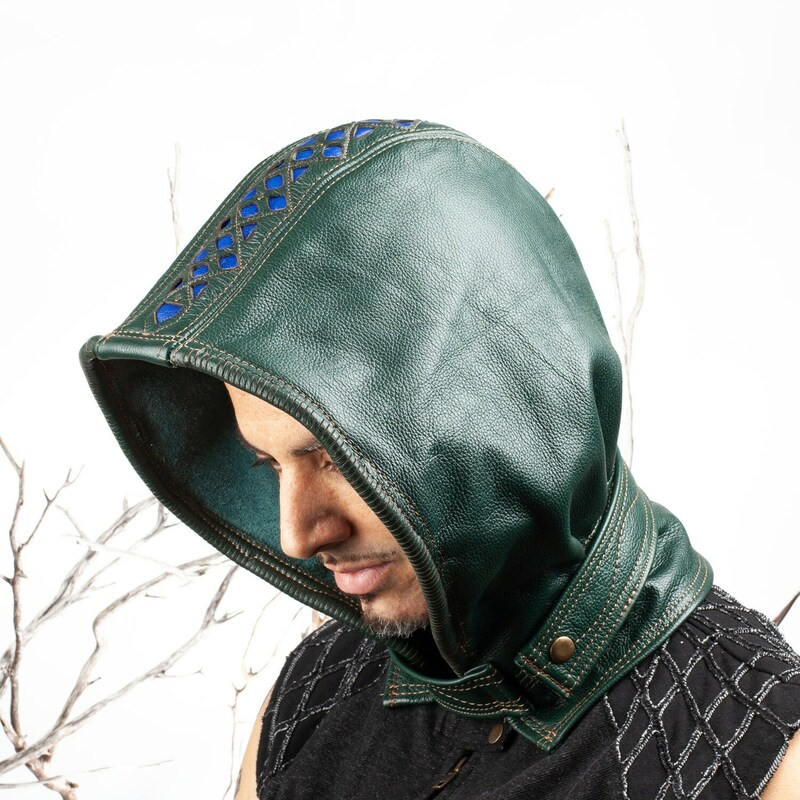 The Mystic hood is a versatile addition to anyone's adventures, across the world, or out on the town on a cold Winter's night. Will fit a 22.5-23.5" head circumference. 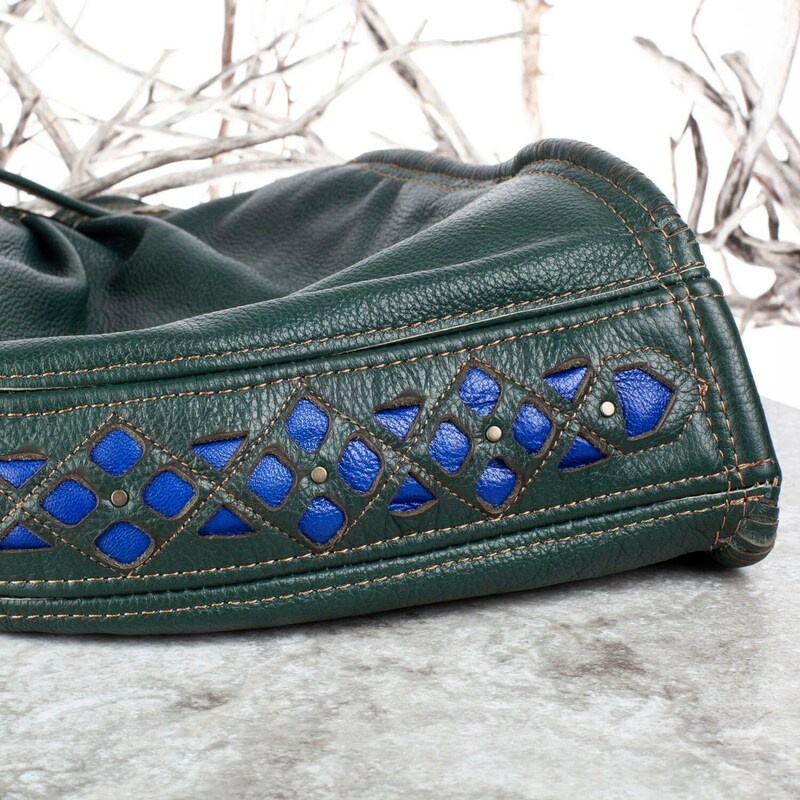 Dark Forest Green Leather with Royal Blue Leather beneath the filigree. 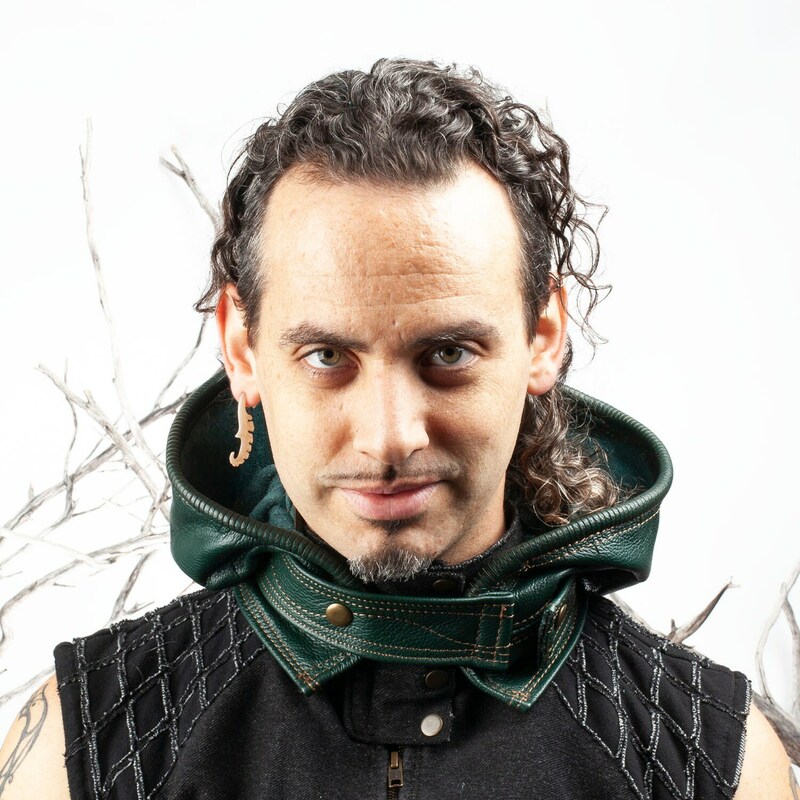 Tarnished Brass Rivets & Snaps. 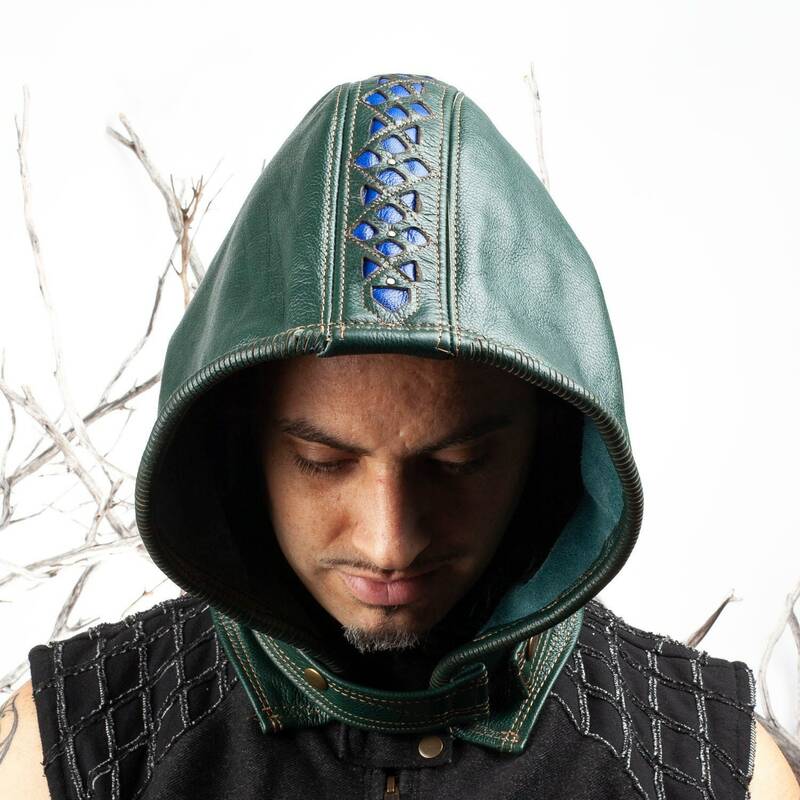 If you are interested in a Custom Made Mystic Hood with colors of your choosing please message us, as we can make a hat to fit your head perfectly and exactly as you wish!